I was extremely happy to receive a galley copy of this book to review because I’ve been a fan of Naomi Novik’s “Temeraire” series since the very beginning. I enjoyed the previous book, “Crucible of Gold”, but I found the pace to be slower than usual and it felt a lot like a bridging novel between the events in Australia and our heroes’ return to the Napoleonic wars. 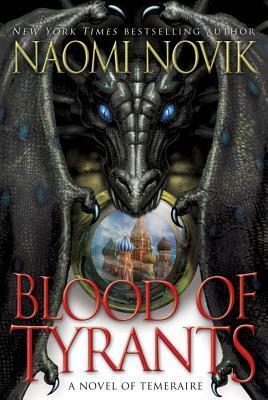 “The Blood of Tyrants” on the other hand starts out relatively slowly but ramps up swiftly and ends at a fever pitch with a sort of cliffhanger that will have me waiting eagerly for the next book.